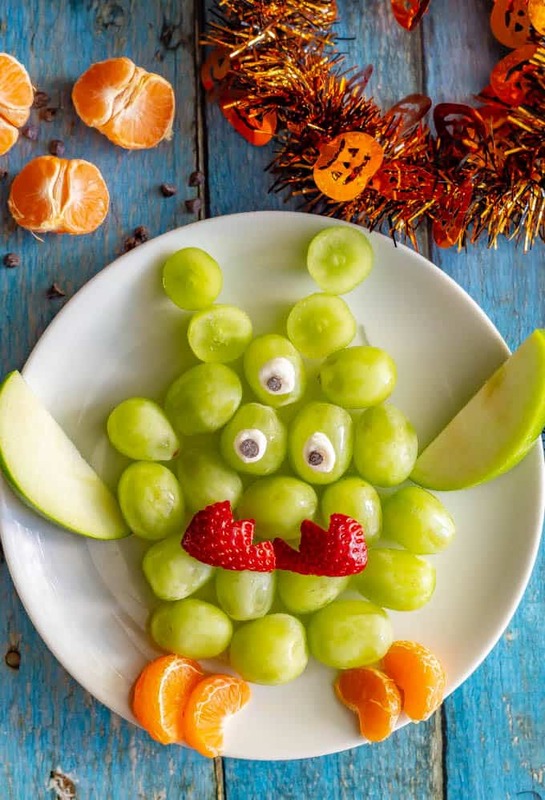 This easy green monster fruit snack plate is a cute, fun and healthy Halloween snack for kids! 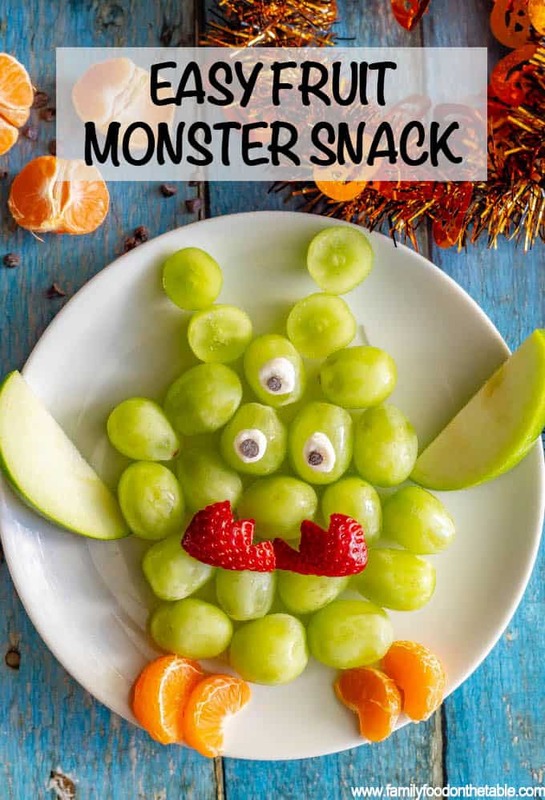 You can make these fruit monsters big or small and add as many arms, legs and eyes as you want! I’ve got all my Halloween decorations up, the kids have their costumes (M is Hermione Granger from Harry Potter and J is going to be Ironman) and we’ve got 10 pumpkins and counting. I use big ones out front and all kinds of smaller ones for inside decor. We haven’t even been to the pumpkin farm yet, where we’ll get at least 2 more! So, you guys know I’m not super crafty, right? I just never had that talent. Though I did do my best for my daughter’s first birthday party. I made those tissue paper poms to hang from everywhere, had a timeline banner of her month-by-month photos, set up a cute food and cupcake station with little flags that matched the napkins and invitations, dressed her in an adorable outfit I bought online (all color coordinated) – the whole shebang. So you know if I’m bring you a Halloween food craft, it’s going to be fun but pretty simple. Something anyone can do. Including me. Including you. Last year, I brought you my healthy Halloween spider snack, which are just adorable and not at all scary. You can get the basic idea from my photos and what I describe below, but you can of course make these any shape you want. You could also do a huge monster on a really big platter for a Halloween party if you’ve got lots of people coming over. And I have ideas for ways you can change these up and customize them, depending on your tastes and what you have on hand. I use green apple slices for arms. Make as many arms as you like. I use mandarin orange sections for the legs. Mine were fresh but you could use canned as well. Or use more apple slices (green or red) or pretzel rods for the legs. I used a strawberry, cut it in half and cut at diagonal angles to make “teeth” for a mouth of sorts. 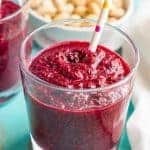 You could also use extra mandarin oranges or a red apple slice to make a smile or frown face. Or come up with your own funny face for your Halloween monster! 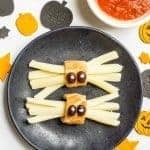 So if you are like me and are interested but pretty much unambitious when it comes to cute food crafts for Halloween, give this easy monster snack plate a try! 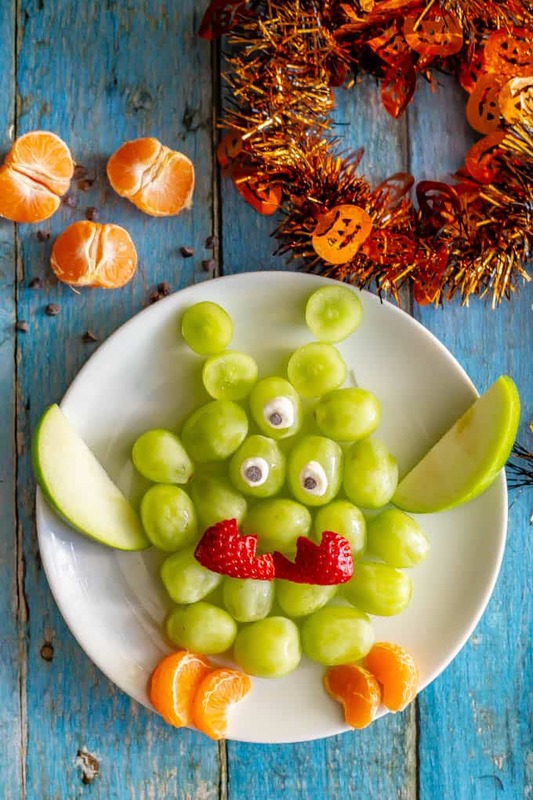 This easy green monster fruit snack plate is a cute, fun and healthy Halloween snack for kids! 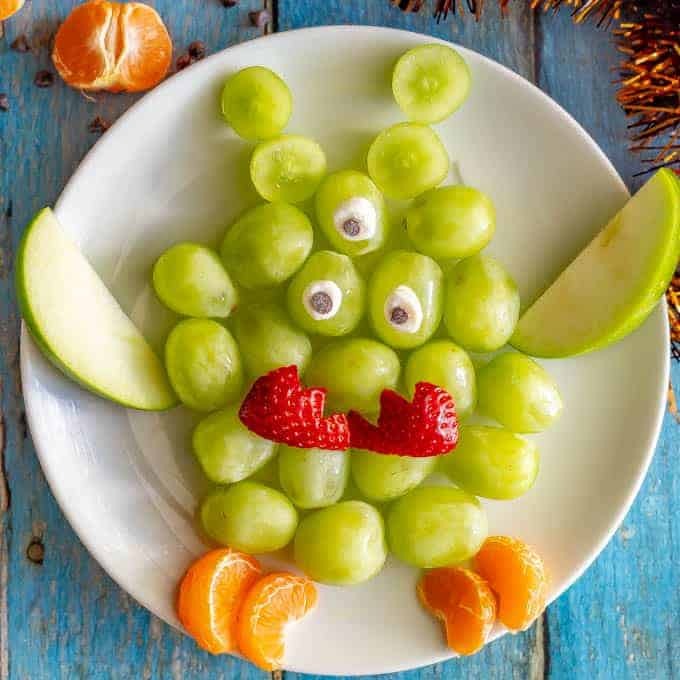 Arrange the green grapes into the body of the monster, making it whatever shape you like. You can also cut some in half to use for antenna. Arrange the green apple slices for the arms. Make as many arms as you like. 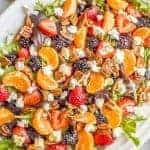 Use the mandarin orange sections for the legs. To make the eyes, take a mini chocolate chip and insert the pointy end into the middle of a mini marshmallow to get it to stick. Make as many eyes for your monster as you want! You can use fresh or canned mandarin orange slices. 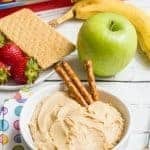 You could also substitute more apple slices (green or red) or use pretzel rods for the legs. 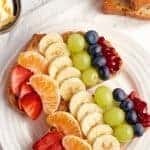 Instead of the strawberry mouth, you could use extra mandarin oranges or a red apple slice to make a smile or frown face or come up with your own funny face! The quantities above are enough to make a medium monster plate. 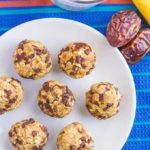 Feel free to increase the quantities and make your monster on a larger platter for a group or have the kids each make their own small plate to arrange and decorate.